Simple Perfection in the Girly Details! 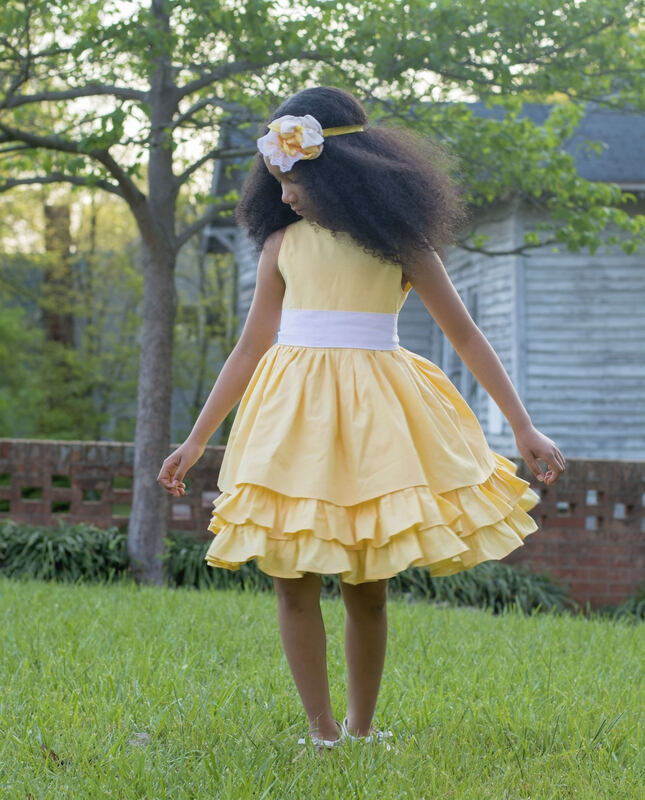 This Dress has a double skirt with two rows of ruffles and the most adorable removable sash for the big bow effect in the back. 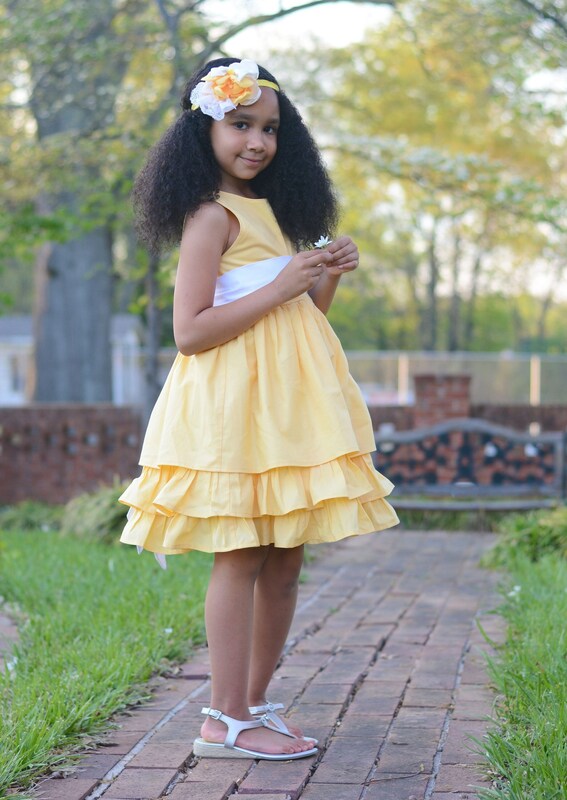 Perfect for that age where your girl wants something pretty but not overly Frou Frou! 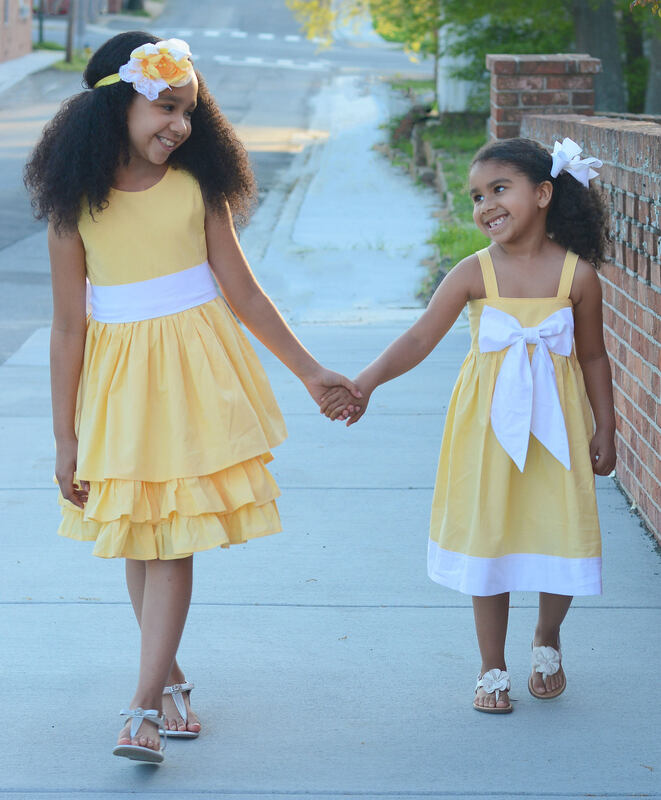 Sizes available from 2T to 10. 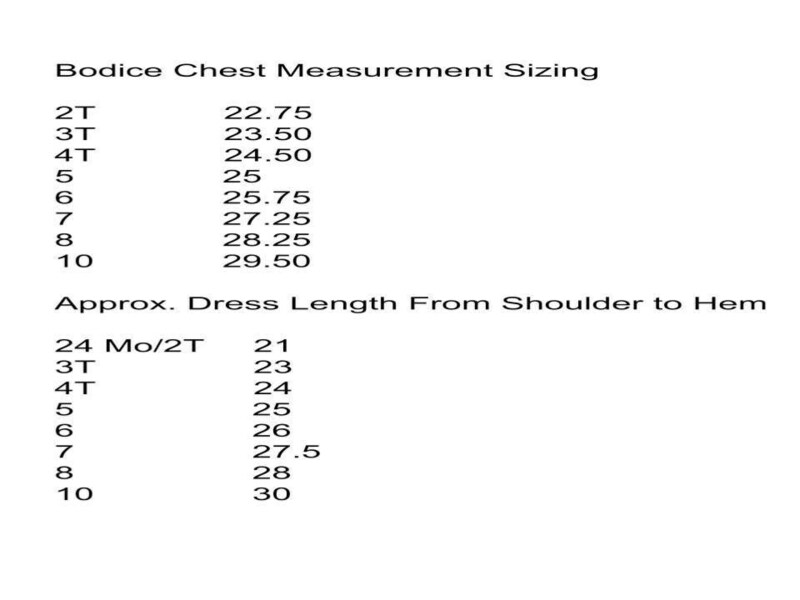 Sizing Chart in Photos. I'm happy to combine different size chest and length. Please double check processing time so this arrives in time!